There is the MAP of Pottery Path in this page. And we have a explanation of the point where the number on the MAP. Welcome to Tokoname and "Yakimono Sanpomichi" or Pottery Path. The "Yakimono Sanpomichi" is a path which started as a natural tour of the various points of interest in Tokoname in about 1972. This path is filled with old traditional houses, workshops and buildings of great character and interest. It has remained unchanged keeping its pottery-town atmosphere, unique to Tokoname. I'd like to explain a little about the city of Tokoname before we start walking. Tokoname was already well-known as a pottery town at the end of the 12th century. Tokoname is one of the six historic pottery towns of Japan. The others are: Bizen, Shigaraki, Tamba, Seto and Echizen. 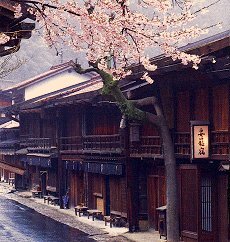 They are known as The Six Ancient Kilns of Japan". The Tokoname kilns were said to be the largest and oldest of them all. Tokoname took advantage of its proximity to the sea and extended the market throughout Japan by use of ships. A large amount of old Tokoname pottery was found in many places in Japan. You can see the pottery from those days at The Ceramic Art Institute. Although it was made more than 900 years ago, it is very artistic and shows the dynamic flashings and brightness from natural wood-ash glaze. Tokoname ware has a long history and tradition which dates back from 900 years ago. Redware was invented in the early 1800s. It developed with the production of teaware like teapots and cups for green tea. 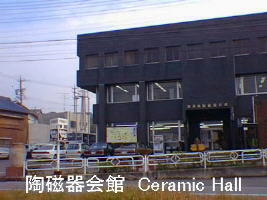 Producing ceramic pipes, bowls and jars has made Tokoname City prosperous. In the 1900s the mass production was introduced which saw the establishment of production systems and improvement of kilns. Nowadays a wide range of ceramics from construction tiles and sanitary ware to table ware, vases and art pottery is produced. The total annual production of the ceramic industry has reached approximately \110 billion. We will begin the Pottery Path walk now. This area flourished as the center of the ceramic industry in the early and mid 1900s. They mainly produced ceramic pipes, bowls and jars. There are some factories and potters'studios which are still operating, but the number of them has declined compared with that of its heyday. Before we start, I'd like you to remember some important points. First, when you enter workshops and factories, please say hello to the people to get permission to go in. Always be polite and please don't touch works and goods thoughtlessly at factories and studios. You may handle works and products at stores and galleries, but please use care and hold them with both hands.